Free bulletproof WordPress site audit. Discover your websites vulnerabilities, learn how to increase security, and increase site visitors with actionable SEO suggestions. Keeping your plugins and themes updated is WordPress security 101. 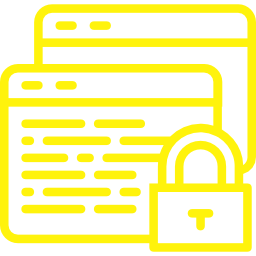 Our site audit goes further to provide areas of improvement in password management, two-factor authentication, dashboard brute force attacks, unwanted database SQL injections, server side form validation, and serving your site over a secure connection. This is just the tip of the iceberg when it comes to our checklist of website security recommendations. Is your website WCAG 2.0 and 508 compliant? Some government and public sector websites need to meet certain website accessibility standards. These standards promote web development best practices while ensuring everyone can access, interact with, and absorb the information your site is promoting. Did you know more than 26% of websites are powered by WordPress? Popularity in the platform has increased the number of malicious attacks. Staying on top of security is of the utmost importance. Content is King! We’ve all heard it and you’ve spent the time creating valuable content for your clients. Now it’s time to make sure the backend plumbing of your site is configured correctly to allow search engines like Google to crawl and index your website, allowing potential clients to find your site over your competition.